Tarkwa; Maternal Deaths, Others Remain Problem for The Municipal Health Directorate. Issues of maternal health and ambulance services continue to be major challenges to the health sector in the Tarkwa Nsuaem Municipality. The entire municipality is served by one old ambulance which has become worrying for the health directorate. Hence rendering response to emergency situations very difficult. These were revealed to newsmen by the Tarkwa Nsuaem Municipal health director Mr. Emmanuel Affelkum in an interview, on the sidelines of a meeting of the Municipal Health Directorate with the private and public health service providers in Tarkwa. On maternal health, Mr. Affelkum said the Tarkwa Nsuaem Municipality recorded no progress in the bid to reduce maternal deaths. As both year 2016 and 2017 recorded eleven cases of maternal deaths. “A bit worrying about the situation on hand is maternal health. For maternal death, last year we had eleven and last two years we had eleven as well. This gives us a proportion of two hundred and six per hundred thousand live bird and for which we need to put in so much to be able to reduce that, possibly to zero as a target” he said. He also stated that “another critical area we need to look at, is a reliable and robust ambulance service. For the national ambulance service has broken down. With the collaboration between the Municipal Hospital and the Municipal Assembly, an old ambulance has been maintained and in use. But for a municipal like ours we need more than one ambulance to manage emergencies”. Mr. Affelkum mentioned, there has also been a gradual increase in still births as well as issues of adolescent health. The meeting which was held on Monday February 19, 2018 allowed for furnishing stakeholders with findings, following a general overview of the health sector performance in the year 2017. The findings showed an increase in the utilization of health facilities by 17.8 percent in 2017 as compared to the year of 2016. 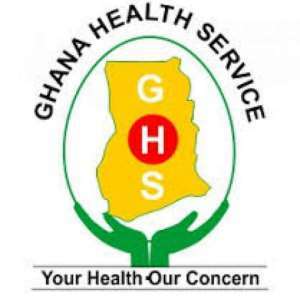 The Health Director said, admmision of patients at the vatious health facilities in the Tarkwa Nsuaem Municipality has also reduced. "We have seen a reduction in the admission of patients which has also gone down at the rate of 35 percent. Indicating that when people are sick they are able to reach the health facility, comply the use of it and then they are well”. These and other positives, the Municipal Health Director maintained, indicate that patients now have easy access to health centres in the municipality and visited the health facilities anytime they were not in good health. Mr. Emmanuel Affelkum took solace in this and predicted a better future for the health sector in the Tarkwa Nsuaem Municipality. He however pleaded for needed support to ensure these challenges are mitigated.